Smart devices with cloud connectivity have become an inescapable part of our lives, from smartphones to the Google Home. In the automotive world, cars are also becoming more sophisticated with models increasingly featuring technology powered by artificial intelligence (A.I.). The fourth-generation BMW X5 is a good case in point. 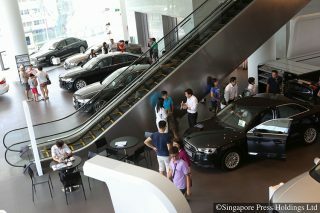 Within BMW’s lineup, it is the first model to showcase their latest operating system, OS 7.0, and other modern gadgets. With this in mind, I half-expected Tim Cook to make an appearance at the X5’s Atlanta launch. But he’s probably too busy working on the next iPhone. Latest X5’s cockpit is a dazzling and high-tech affair, featuring a digital personal assistant and enhanced gesture controls. So, instead of Apple’s CEO, it was BMW’s Project Manager for OS 7.0, Armin Distler, who presented it to us. OS 7.0 is just fresh from the oven, so its full suite of capabilities will be progressively rolled-out from the first quarter next year. 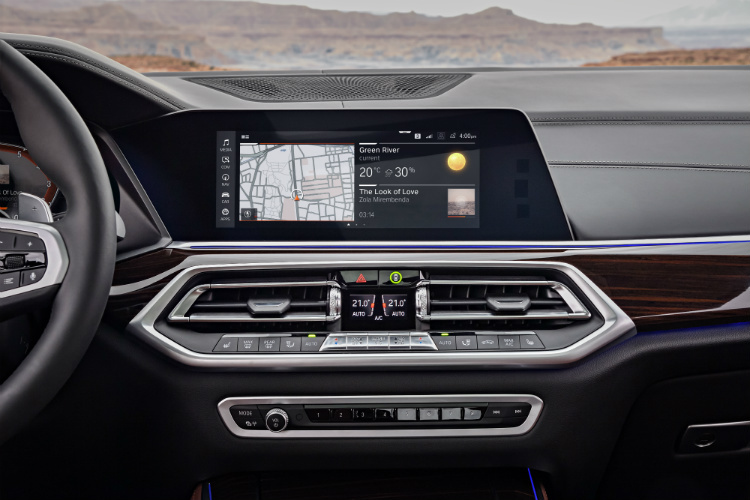 Making their debut on the new BMW X5 dash are OS 7.0’s Live Cockpit Professional (instrument display) and Control Display (infotainment). Live Cockpit Professional consists of a 12.3-inch semi-polygonal speedometer and tachometer that look stylishly futuristic. 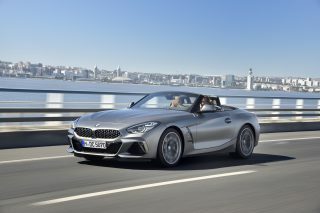 BMW says that this design also expands configurable data space in-between the two main gauges. Meanwhile, although the Control Display looks familiar, it is larger than the preceding iDrive infotainment system, for it can be customised with up to 10 pages. For ease of use, these 10 pages can be quickly accessed via five sidebar widgets. Gesture control is still present. But this time around, it recognises an additional two gestures, enabling you to turn pages like Tom Cruise did in Minority Report. I’m not a fan of this feature, though. Equally futuristic is “Hey BMW”, the brand’s Intelligent Personal Assistant. This voice-activated feature can tell you, in real-time, the latest news and current weather. It can also set the fastest navigation route for you during peak-hour traffic. If you’re less tech-inclined, the less fancy but perhaps more practical iDrive knob and touchscreen interface are still present. The slight increase in wheelbase length will benefit second-row passengers; the third-row is still best reserved for children. At the heart of OS 7.0 is Open Mobility Cloud, which interfaces with other digital devices. The operating system can receive over-the-air updates as well. Like many newer BMWs, the latest BMW X5 has Apple CarPlay. Wireless charging, USB-A and even USB-C ports are also standard. But strangely, there is no Android Auto. Compared to the previous X5, the new X5 (codenamed G05) is 4922mm (plus 36mm) long, 2004mm (plus 66mm) wide and 1745mm (minus 17mm) tall. Despite its larger dimensions, the X5 has a distinctly athletic appearance. The new design language is sharper and more chiselled, and has a prominent shoulder-line kink towards the rear haunches for a sportier profile. There are 645 litres of boot space available with the third-row seats folded, and a maximum of 1860 litres with both second- and third-rows folded. 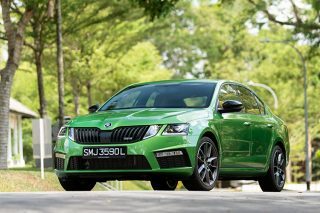 An oversized single piece kidney grille certainly creates a bolder, chunkier face to match. As expected, this signature grille comes with active air-flaps for increased aerodynamic efficiency. The LED lamps have been redesigned, too. 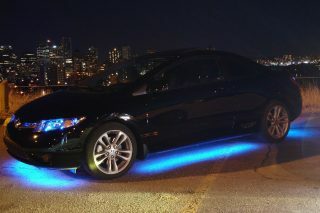 The M Sport variant has long-reach Laserlights, which have a range of up to 500m. If that’s not “bling” enough, there are optional 22-inch wheels for buyers who want an even more macho look. 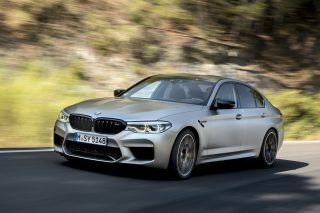 Doing a brilliant job of hauling the 2060kg X5 xDrive40i is BMW’s sweet turbocharged 3-litre straight-6 petrol engine, which is mated to a wider-ratio 8-speed automatic gearbox. With 340 horses (plus 34hp) and 450Nm (plus 50Nm) of torque, the new X5 does zero to 100km/h in 5.5 seconds. That’s a full second faster than the previous X5 xDrive35i, and can probably leave many a hot-hatch in its wake. Yet commendably, the BMW X5 does this with refined verve and quiet resolve. 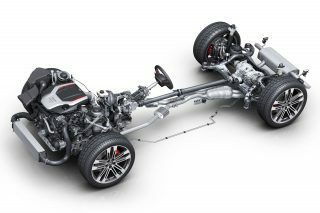 The SUV’s ride quality has gone up a notch, too, thanks to the now standard dynamic dampers and air suspension. I experienced a cushy ride in our test cars, which were shod with 21-inch wheels. Helping the BMW X5 remain nimble is the optional Integral Active Steering, which first debuted in the 7 Series limo. It makes for quicker and tighter turns at low speeds, and greater stability during highway runs. 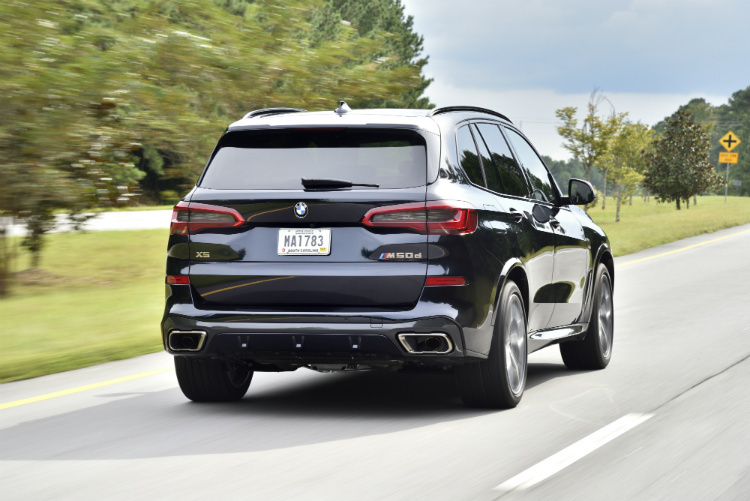 A rear-biased xDrive (all-wheel-drive) system helps preserve a bit of BMW’s trademark engaging handling qualities, so the X5 can still corner fluidly at speed. There’s a bit of roll due to the ride height, but overall, the car remains wieldier than its size suggests. 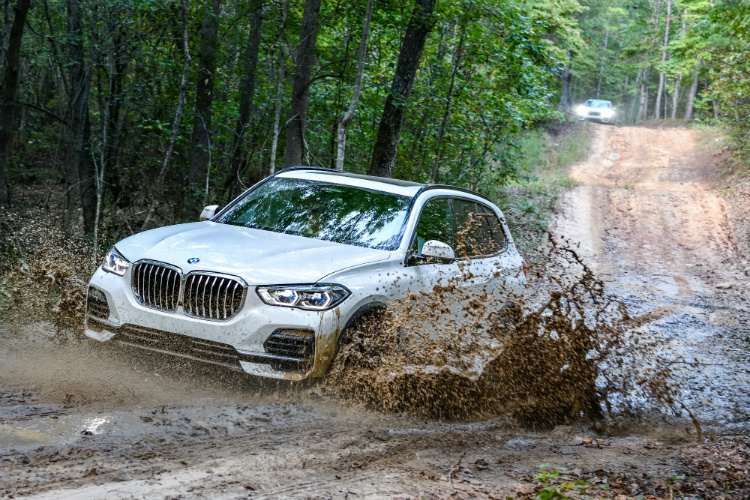 Few will venture off-road in a luxurious BMW X5. 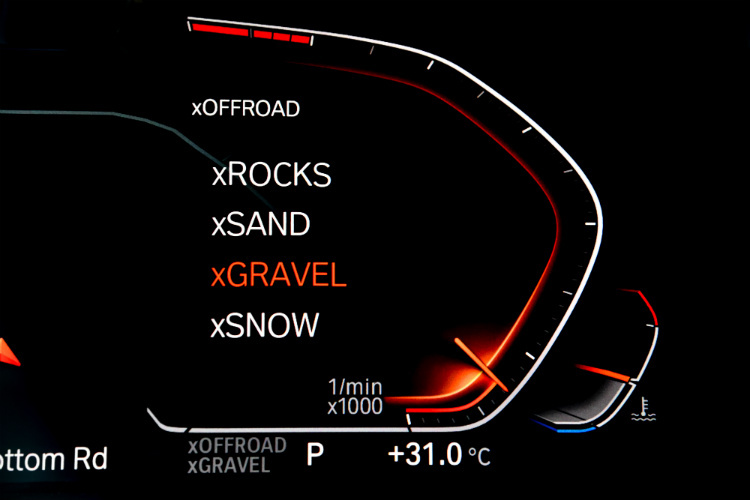 But for owners who want to, the BMW X5 can now be specified with the Off-Road Package to better cope with such endeavours. With a wheelbase length of 2975mm (42mm longer than previously), the latest X5 is roomier than ever. However, the rearmost pair of seats are still only suited for kids and petite adults. 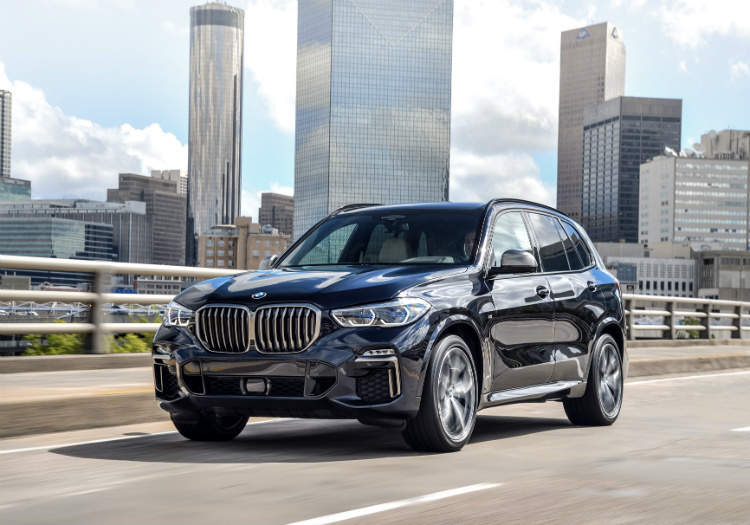 The BMW X5 is available in both five-seater and seven-seater versions, but Singapore-bound units will only be available in the latter configuration, which is more practical/versatile. Making load-hauling more convenient is the X5’s new powered split tailgate (the older model had a manual bottom tailgate). In addition, there’s a button in the boot and on the Display Key that instructs the BMW X5 to lower its derriere by 40mm. 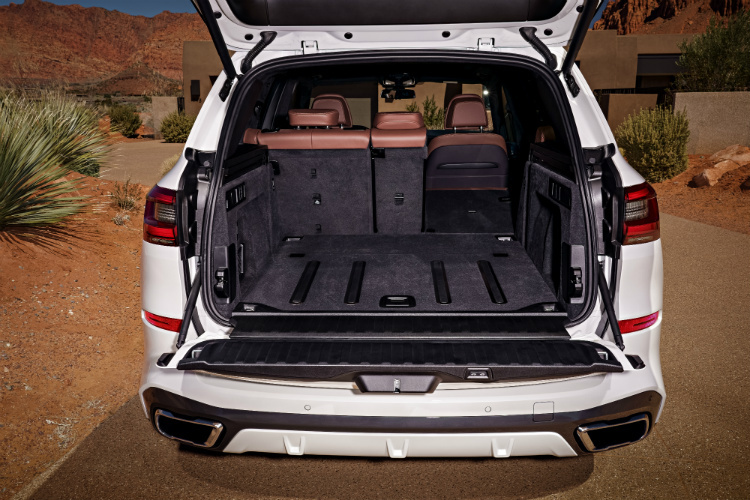 An interesting option for the five-seater BMW X5 is the Luggage Compartment Package – a first of its kind powered boot cover that auto-stows flush under the floorboard. It even has anti-slip rubberised plates. 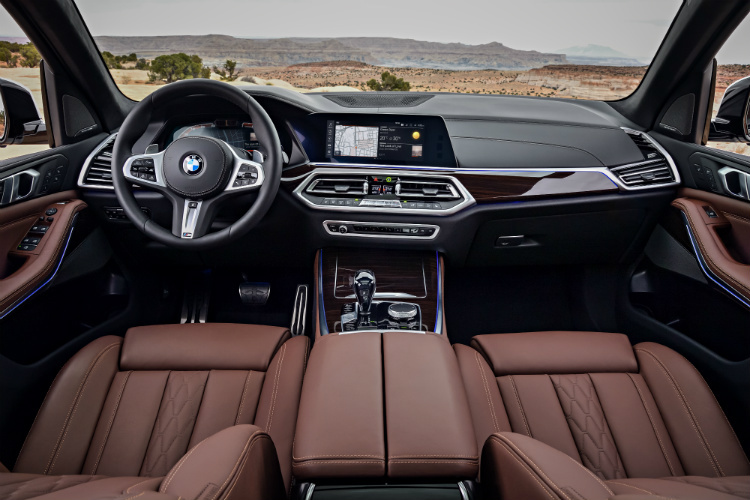 The X5’s cabin design is familiar, but it has actually been subtly updated with a more modern vibe and top-notch materials throughout. Adding to the interior’s classier feel are the open pore wood panels, satin-chrome trim and fine detailing such as knurled metal dials and controls. Optional frills include glass gearshift lever and iDrive knob, a Rolls Royce-like “Sky Lounge” panorama roof, cooled/heated cup-holders, massage front seats, and a 1500-watt B&W hi-fi system. All these make the BMW X5 a strong frontrunner in the large premium SUV segment. 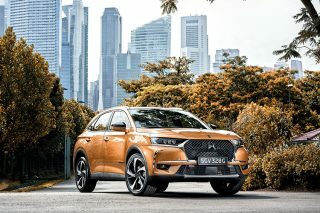 It arrives in Singapore in the first quarter of 2019.